So it's the start of January. 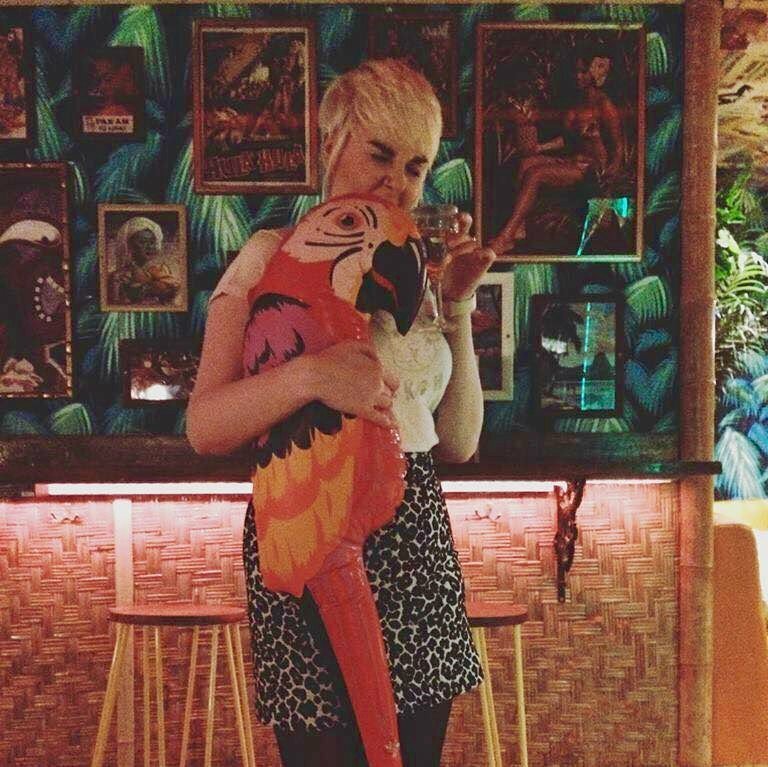 You've peeled yourself out of the christmas holiday cocoon you've made yourself and it's time to wake up and smell 2016. You're bored of going into every high-street store and being engulfed with last season's wares and dresses that remind you when you puked on that lad on New Year's Eve. You want new fresh outfits to go with your new (if perhaps temporary) positive attitude. So what have we got to welcome in spring/summer 2016? Pastels - Rejoice pasty girls everywhere and tanned girls everywhere, finally colour schemes that will complement both our skin tones - when worn correctly of course. From clothing to makeup pastel is the way forward. 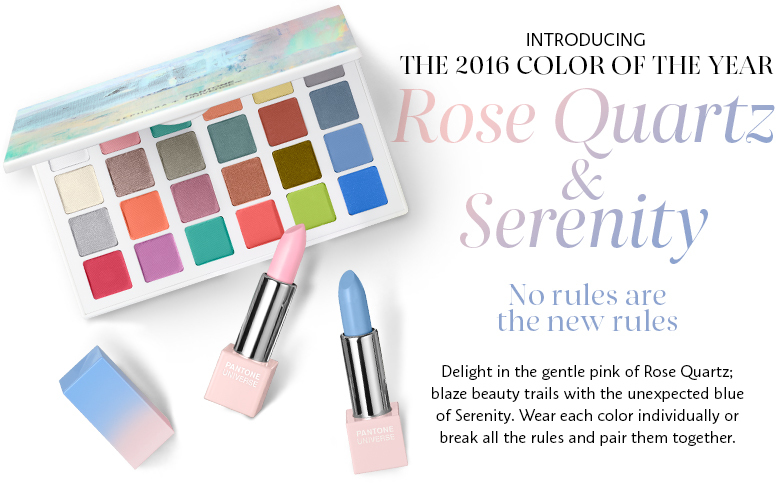 This has already be seen in 2016's Sephora and Pantone collaboration where they have announce colours of the year - Rose Quartz and Serenity. For the likes that want to stick with the trends but still want to stay natural and subtle, the Rose Quartz colour is a gorgeous subtle pink lip, that keeps you on style whilst not going over the top. This can then be offset with a more bold eye colour. The Serenity is for girls that like to stand out, the bold colour should be teamed with a natural eye, so the lips take the stage. As seen at Alexis Mabille it was all about the bright pastel/watercolour eye palette, using MAC pro paint sticks in cyan and yellow and a wash of pink blush on the cheeks. Midi Skirts - It looks like this old trend is here and it's not going anywhere. Switch it up for 2016 by trying them in pastels colours, Topshop does a really pretty pale blue satin crepe midi which teamed a cute crop top would be perfect for 2016. It could be dressed up with heels or dressed down with a pair of Mary-Janes for a preppy every day look. Bomber Jackets - Taking inspo from the likes of Gigi Hadid and Kendal Jenner the bomber jackets are not going anywhere. Although the girls can make anything look good, teaming theres with a simple legging. For us mere mortals it is all about retro looks, team it with some mom jeans and a striped funnel neck top and you're well away. Flatforms - It seems 2016 is the year for bringing back trends. Flatforms were seen all over the runway for the s/s previews and this is a trend I adore. Heels without the pain! Bring out the creepers and embrace your inner goth! 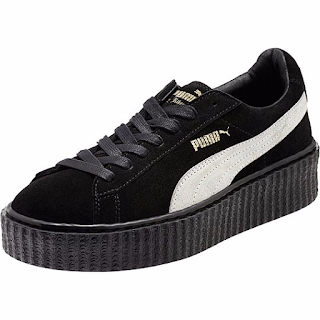 I love Rihanna's creepers she did for Puma. The Lob - As seen at the most recent People's choice awards it's all about the Lob aka the long bob. Taylor Swift, Kaley Kuoco and Adele have all made this look fashionable towards the end of 2015 and it is THE look for 2016. Whether it's texturised like Emma Watson's, with a shaggy fringe like Taylor Swift, or slicked back, there are so many variations to suit everyone. It's time to give your dry dip dyed ends the chop! So there's a few of my spring/summer predictions, overall it seems spring/summer styles aren't too over done. It's all about fresh, natural styles with a little bit of 80s inspo thrown in.